Happy New Year! There’s nothing like starting the new year off with chocolate cake. The first time I tried this recipe I was looking for a new way to finish off a can of coconut milk. Half had already gone towards a green curry dinner, and I didn’t want the rest to go to waste. Curious about other uses for coconut milk, I turned to Google for ideas. A surprise to me, I learned that coconut milk is frequently used as a milk substitute in baking. I was in the mood for something chocolate, so I decided to give this recipe a try. The result? 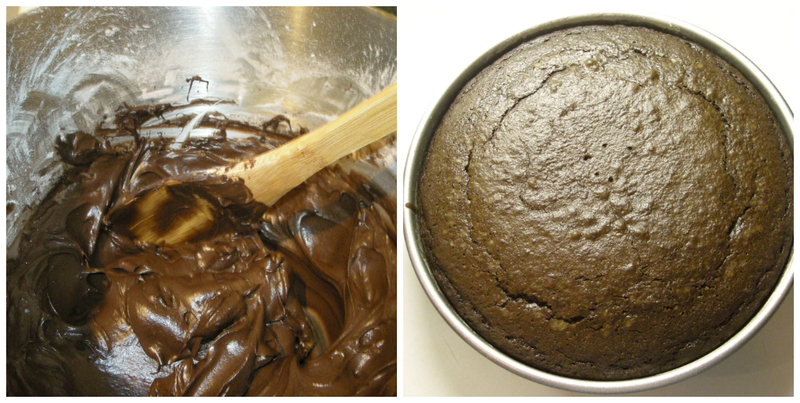 An addicting, decadent chocolate cake. While most substitutes in baking tend to fall short, coconut milk adds moisture and richness to every slice. The coconut flavor is mild to non-existent, so it is suitable for coconut lovers and haters alike. This recipe also makes a great celebration cake. I baked one the other day for New Years Eve, and it was a delicious way to bring in the new year. Butter and flour a 9 inch cake pan. Heat the oven to 350 degrees. In a medium bowl, mix together the flour, baking soda, baking powder, and salt. In a small bowl, add the chocolate chips and cocoa powder. Pour bowling water into the bowl and mix until the chocolate melts completely. Set aside and let cool. In the bowl of a standing mixer, combine the butter and sugar and mix on medium until thoroughly combined. Add the eggs, one at a time, and continue to mix for 3-4 minutes. Slowly add in the coconut milk. Pour in the chocolate mixture and stir. Add the dry ingredients and mix until combined. Pour cake batter into the pan and bake for 35-40 minutes, or until a toothpick is inserted into the center and comes out clean. In the bowl of a stand mixer, add the butter,cocoa powder, and powdered sugar. Stir on medium for 1-2 minutes. Slowly add the coconut milk until the icing reaches the desired texture. 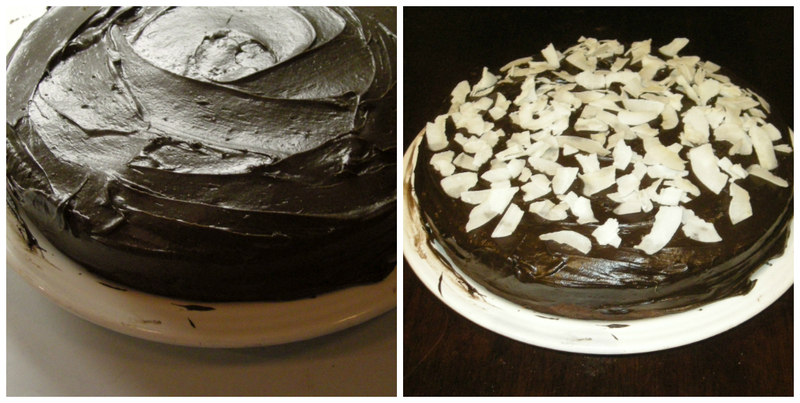 Mmm coconut and chocolate! Looks delicious!